Brass pendant light with lead crystal bulb. By British designer Lee Broom. I love this lamp and have mine hanging in the kitchen from an equally decorative hook (sold separately), so I can plug it into a wall socket. British designer Lee Broom has transformed the traditional light bulb into an ornamental fitting in its own right. In his true signature style, Lee initially collaborated with the talented traditional British craftsmen at Cumbria Crystal to produce this beautiful hanging lamp. 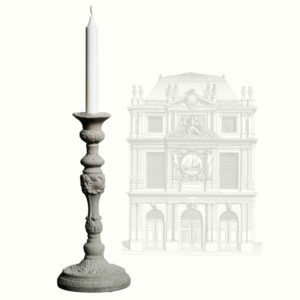 The bulb is hand cut with a classic decanter pattern, inspired by the craftsmanship of delicate lead crystal cutting. 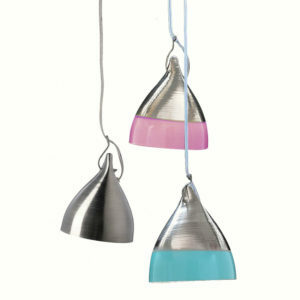 Beautiful hung from the ceiling on its own or in clusters, the lamp can also hang from a wall bracket/hook. The design is completed with gold fabric-covered cable, a brushed brass pendant and a simple ceiling rose. 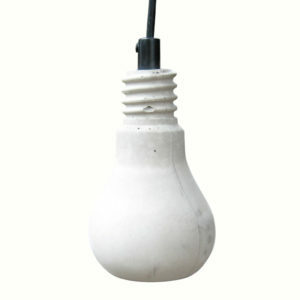 The E27 LED bulb (included) is easy to replace, if ever necessary, from within the crystal “bulb” shell (measuring approx. 9cm x 18cm). The silk cable measures approx. 2m long and the complete unit weighs approx. 400g.